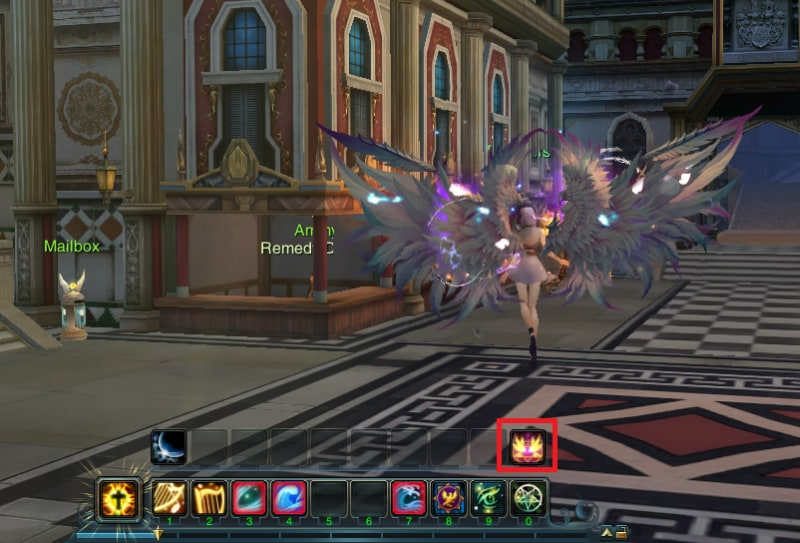 Forsaken World’s latest expansion now introduces a robust and exciting new system in Divine Wings! This easy to use guide will give you pointers on how to get the most out of your wings and bring you to levels of power never before seen in Forsaken World! To fortify gear, please go to any Armorer or Blacksmith, select “Gear-Related Services” and select Fortify. To embed gems into your fortified gear, please see any Gem and Rune Merchant and select “Embedding, Removing, and Melding gems”. To begin working on your Divine Wings, simply Press the ‘c’ key to open up your character sheet. 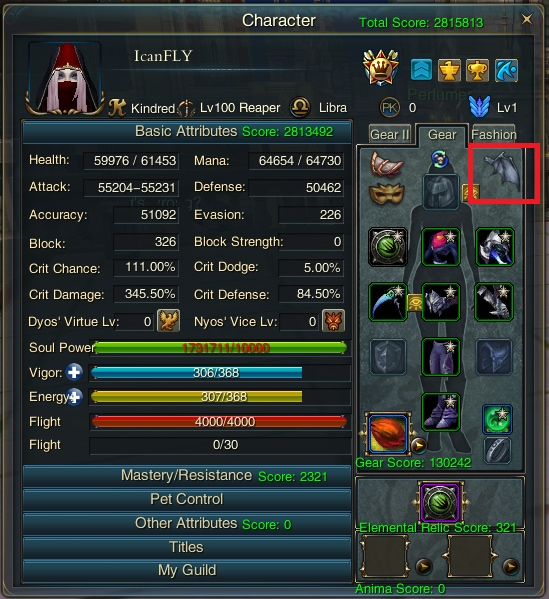 From there, click on the wing icon in the top right of the character sheet. Clicking the Wing Icon opens up the Wing Charge Menu. To charge your wings, you need gems. Lots of gems. Select any unused gem (bound or unbound it does not matter) and right click it. That gem will then be populated in the gem slot as pictured above. Simply click fusion and the R n G system will determine whether or not the gem was successfully fused into the wings. Once successfully fused, that gem will add experience to the progress bar. 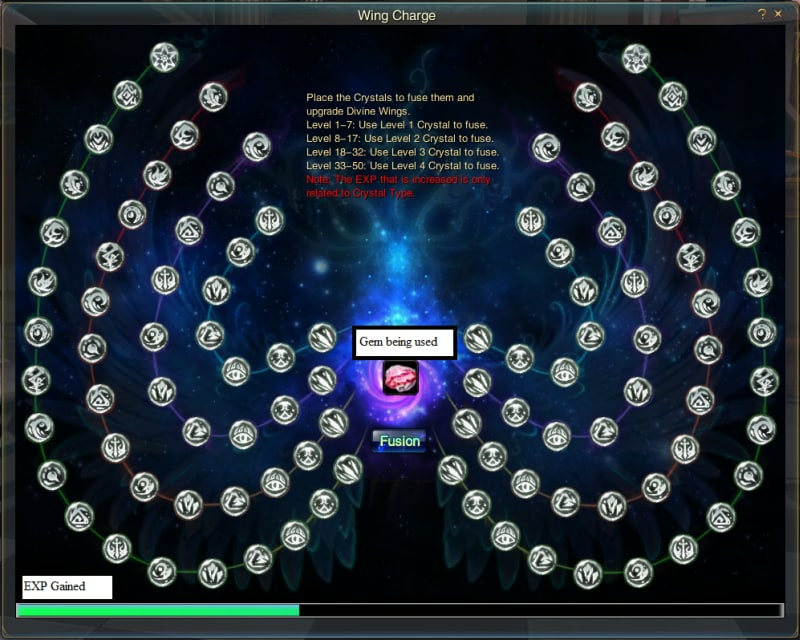 Once that progress bar fills completely, a new Divine Wings ability will become available. Pro Tip: It is recommended that you use the corresponding level gem to that tier of Divine Wings. For Example: Level 1 gems for Tier 1, Level 2 gems for Tier 2 etc. Once you have abilities unlocked you may equip one ability per Tier provided you have the requisite amount of Chroma to use it. To use an ability that you’ve unlocked, simply click on it and it will become active. If you have Level 4 wings, this means you can use one ability from each Tier! Once you’ve acquired level 4 wings and have unlocked the first ability on Tier 4, you will be given a very special ability to put on your action bar. Simply select this ability and you will then be able to fly! 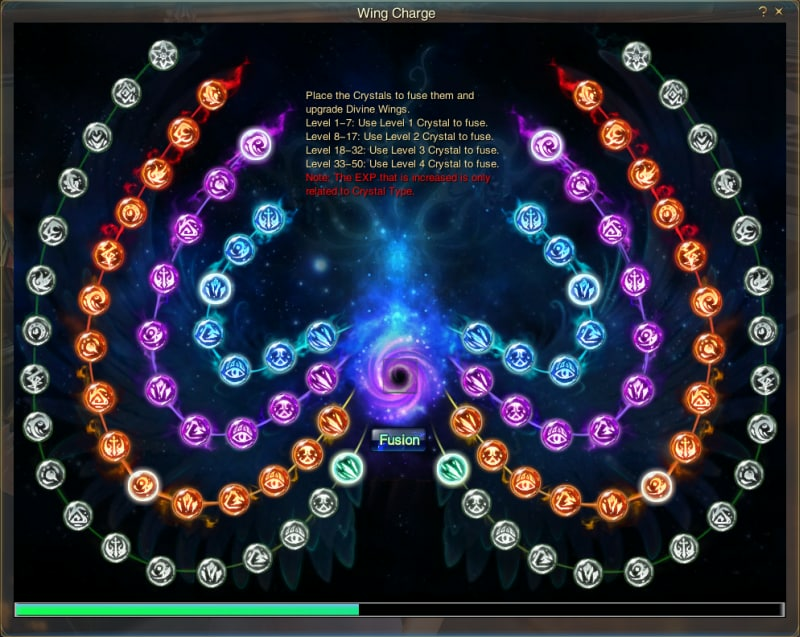 We hope you enjoyed this guide on how to use the Divine Wings System! Check out more guides on the new features to be found in Forsaken World: Homecoming!